How can I make it that the font size of the label changes when I zoom in and out? I have a polygon and I want the label get bigger when I zoom in and smaller when I zoom out (just like the polygon does). I tried to use map points but it didn't work. According to your CRS, you can use "Meters at scale" or "Map Units"
Try changing the size unit to Map Units. You might have to make this a very high number depending on the scale of your map, for instance in the project I'm working on at the moment at 1:260000 I have to set fonts to 700 map units to match the original 8pt text. Not the answer you're looking for? Browse other questions tagged qgis labeling zoom font or ask your own question. 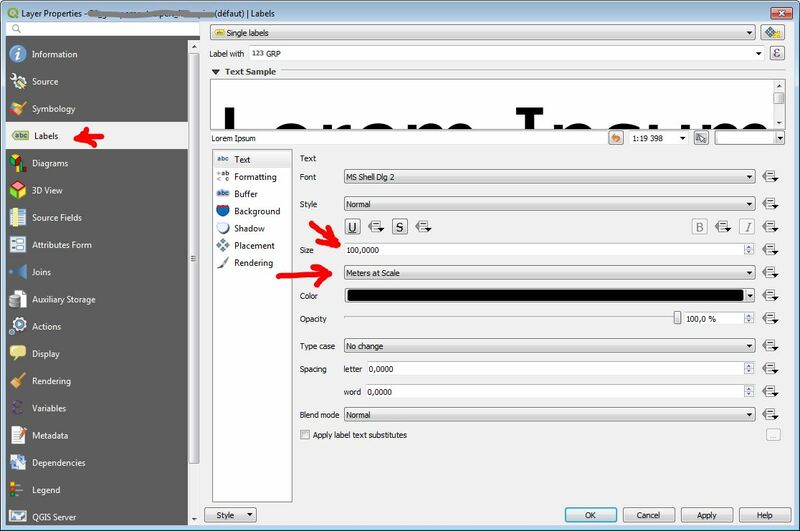 Changing font size, when using the Easy Custom Labeling plugin?